Currently tenant occupied till June 2019. Tenants are currently paying $11,575 per month and a CAP rate of 2.99%. 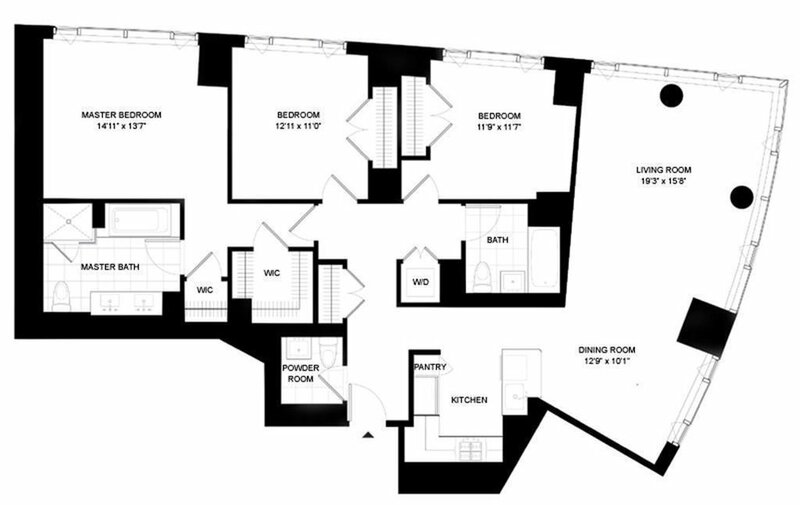 Combining Battery Park City's residential serenity with chic downtown accessibility, this loft-like three-bedroom, two-and-a-half-bathroom home is the perfect city retreat in a full-service, luxury condo building. Wrapped in extra-tall windows to the south and east, every room of this 1,689-square-foot stunner is flooded with sunlight and glorious views of The Battery, New York Harbor and FiDi skyline. Flawless hardwood floors, 11-foot ceilings and soaring columns add to the sense of style and scale. The gracious entry, flanked by a coat closet and powder room, leads you to the breathtaking corner great room where spectacular living and dining areas are generously sized. The open kitchen is a vision in granite counters and top-of-the-line stainless-steel appliances. Spacious bedrooms are tucked down a private hallway for maximum privacy. The impeccable master suite offers two large California closets — one a walk-in — and a serene en suite marble bathroom with dual-sink vanity, soaking tub and separate shower. The two additional bedrooms share an equally well-appointed full-bathroom, and the in-unit washer-dryer makes laundry day a breeze. No detail was overlooked in this home's updates and features. 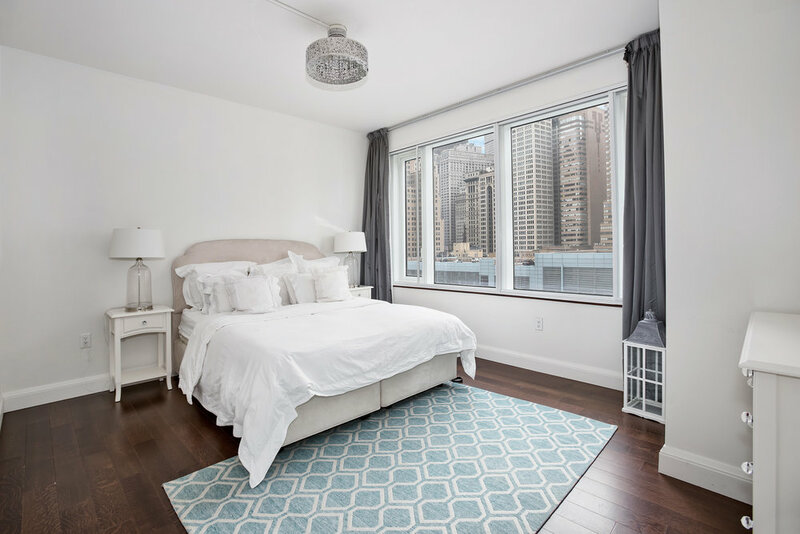 A built-in fireplace provides a warm focal point, triple-glazed windows make bedrooms supremely comfortable, and automatic blinds run throughout this beautiful Battery Park City home. The Visionaire is a stunning glass and terra cotta tower from the esteemed architects Pelli Clarke Pelli. Residents of the LEED-certified building enjoy a full suite of premier, white-glove amenities, including 24-hour doorman and concierge service, 24-hour valet parking garage and bike storage, an enormous fitness center, an indoor lap pool and sauna, a children’s playroom overlooking a 12-foot aquarium, a fully stocked residents’ lounge and one of the best roof decks in the entire city. Located in the most tranquil section of Battery Park City, this world-class building is surrounded by the sprawling green space and recreation of The Battery just two blocks away. The upscale grocery, Battery Place Market, is just downstairs, and the fantastic shopping and dining of Westfield World Trade Center and Brookfield Place are moments away. Public transportation is excellent with 1, R/W, 4/5 and J/Z trains within easy reach.